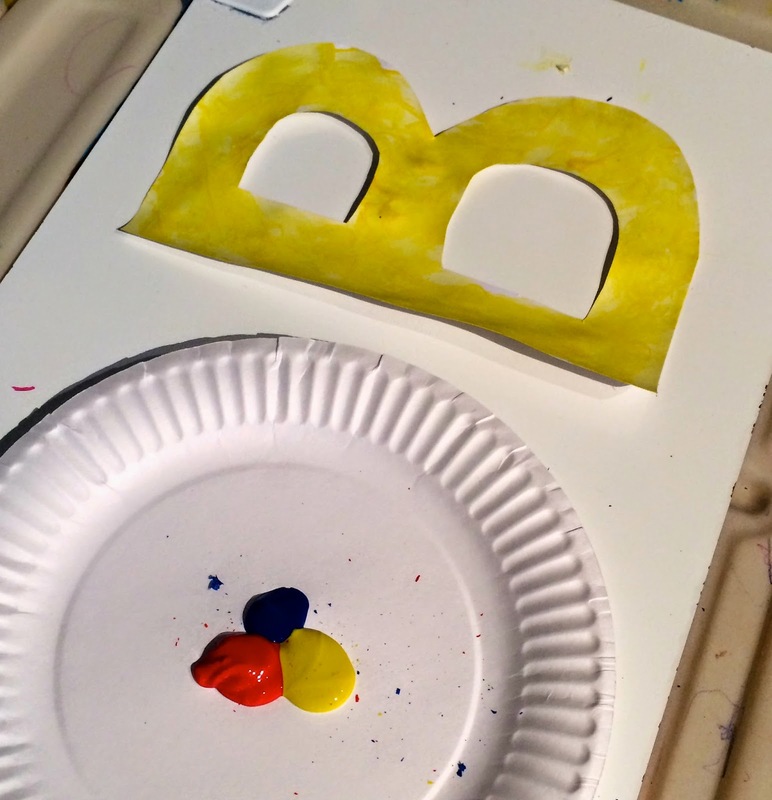 Remember the "D is for Dinosaur" craft? 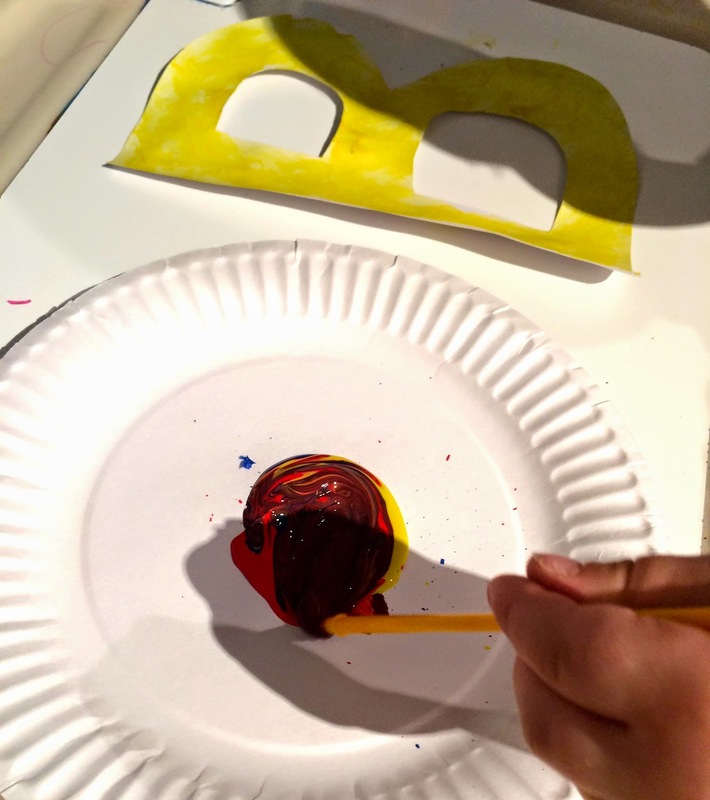 Well, it was a HUGE hit with both my 1 and 3 year old, so we decided to do another one...B is for BEE. The kids had so much fun making these bees, then running around chasing each other with them yelling BUZZZZ BUZZZZ. There are so many ways you could do this craft. 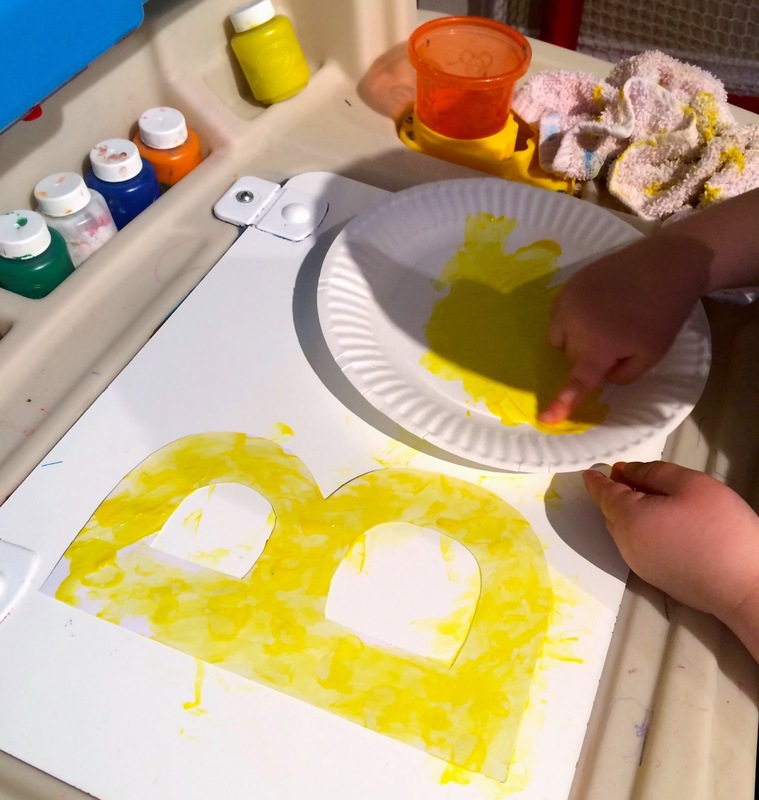 We finger painted white card stock, but you could also cut the letter B out of yellow construction paper and the wings and stripes out of black construction paper and have the kids glue them on. Use whatever you have on hand. 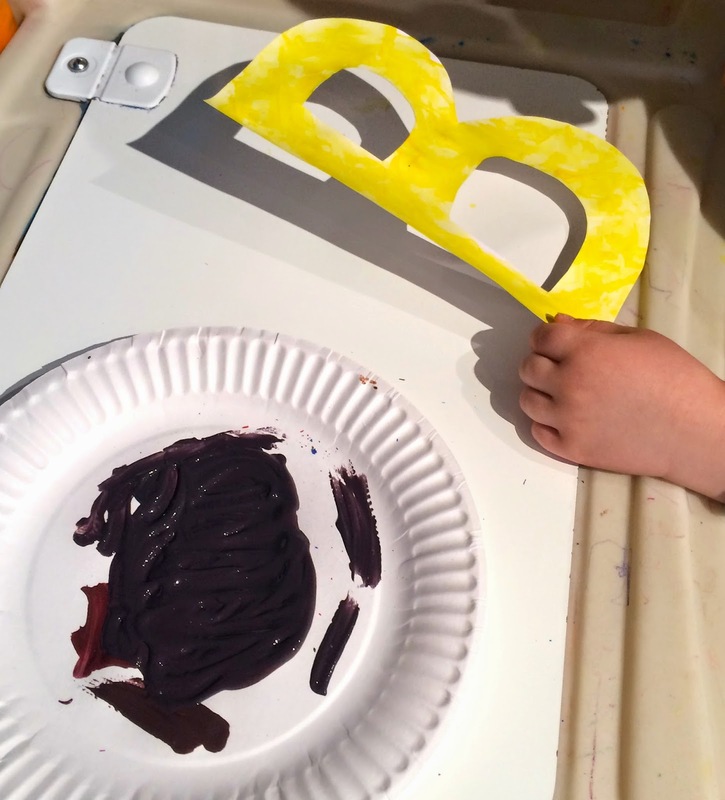 Besides learning about the letter B and "buh" sound, the kids also learned how to make black paint by mixing other colors together, and while the paint was drying, we went outside for a bee/bug hunt. Step 1: Cut the letter B and two wings out of white card stock. 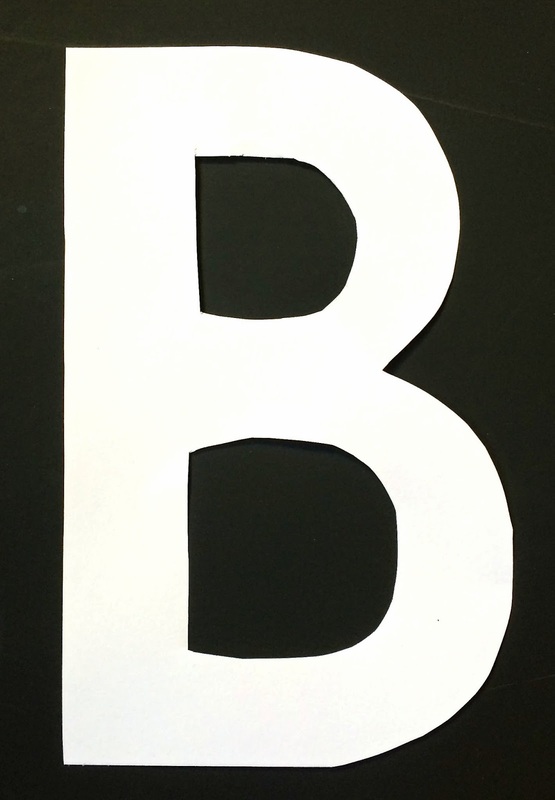 I freehanded the first B and then used it as a template to cut out the rest. 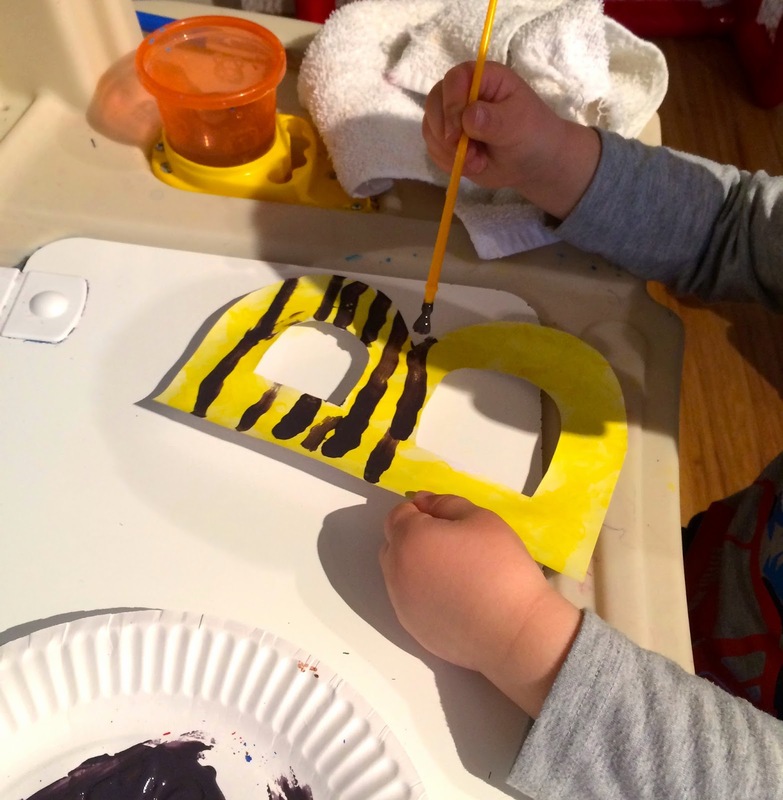 Step 2: Use yellow finger paint to color the body of the bee. Step 3: While the bee is drying, go outside for a bee/bug hunt. I brought out a note pad so we could document the different types of bugs we found. I wrote the names down and the 3 year old drew pictures of them. I definitely recommend doing this! Step 4: Mix paint colors together to make black paint. Step 5: Paint stripes on the bee and paint the wings black.